Whether simply remote monitoring of your systems health, or constant, complete network support from our skilled technicians, Evron can keep your network running smoothly virtually 100% of the time. It’s like having your own internal IT department, but at a fraction of the cost. You’ll have the peace of mind to focus on your business and leave the rest to us. We provide support for both the hardware and software components throughout your IT environment. We provide flexible technical support programs to meet every client’s needs, including scheduled preventative maintenance, pre-booked time packages, retainer programs and simple time and materials visits. In additon, Evron’s network professionals have decades of experience developing secure, reliable communications infrastructures for local and international business needs. An intimate knowledge of network hardware built over hundreds of implementations ensures that Evron delivers the right system for your organization. Evron Managed Services provides support for both the hardware and software components throughout your IT environment, with a single focal point and a single contract for all your technical support needs. Evron provides a single point of accountability, so you don’t have to spend your time coordinating IT support services. And a single focal point may help to hasten recovery from, and potentially prevent the occurrence of, outages. Providing support for multivendor hardware and software components under a simplified contract structure, we can help you meet service level expectations and can act as a trusted advisor to your IT organization. In addition to managed services plans, Evron offers flexible technical support programs to meet every client’s needs, including scheduled preventative maintenance, pre-booked time packages, retainer programs and simple time and materials visits. There are two big problems any growing business must face – increasing network complexity and server sprawl. As more and more applications go onto networked machines, the demands placed on servers are growing. In the Pre VM-ware era, independent servers were required for different applications. Moreover, old ways of duplication and back-ups through multiple servers is not only costly, but an inefficient use of resources. Virtualization solves this problem. Instead of using multiple pieces of hardware as servers, virtualization allows for a single server that houses a variety of applications in it. 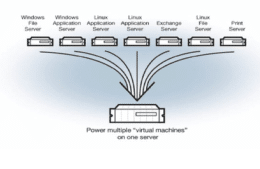 Unlike traditional approaches, virtual machines simulate hardware instead of using real hardware. 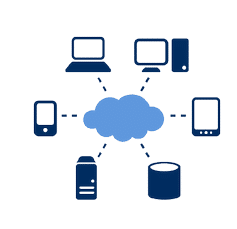 This means, your team can use workstations and terminals connected to a single virtualized machine instead of running off multiple ones locally. Costs are reduced through energy savings, less investment in new servers and you’re even being environmentally friendly. Gartner Inc. finds that 93% of businesses that lose their data for 10 or more business days, file for bankruptcy within a year. Evidently, an efficient and secure way to backup data on your server is critical. An automated datacenter, built on a VMware virtualization platform, lets you respond to market dynamics faster and more efficiently than ever before. VMware Infrastructure delivers resources, applications—even servers—when and where they’re needed. 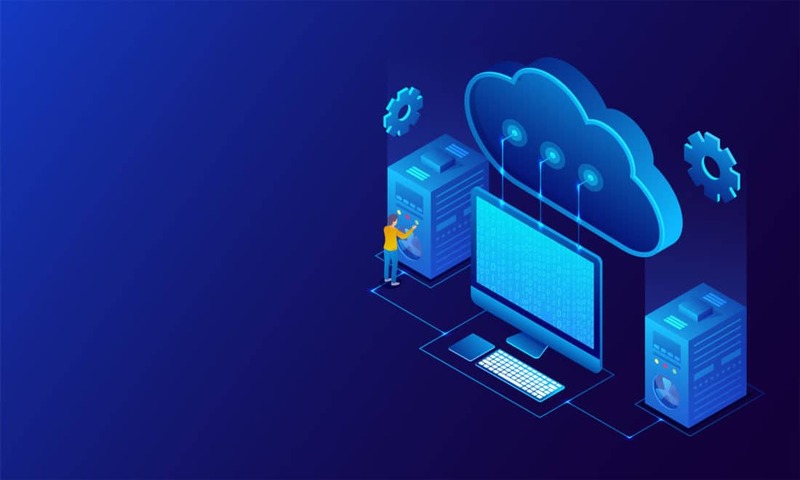 VMware customers typically save 50-70% on overall IT costs by consolidating their resource pools and delivering highly available machines with VMware Infrastructure.